Let’s Learn from the Books of Legends” is a project dedicated to a widespread deeper enjoyment of creating illustrated, manga and anime works through studying books written by legendary creators and artists in various fields. We hope the numerous works we introduce here will help readers develop a keener eye and sharpened skills for their own creations. Director Yoshiyuki Tomino is known for directing the very first “Mobile Suit Gundam” (1979) of the series that still continues today. He was also involved in the screenwriting and production of Tetsuwan Atom/Mighty Atom (1963, known in English as Astro Boy), one of Japan’s very first televised anime series, cementing his status as one of the legends that represent the Japanese anime world. Tomino’s Eizou no Gensoku is directed at the larger picture industry. 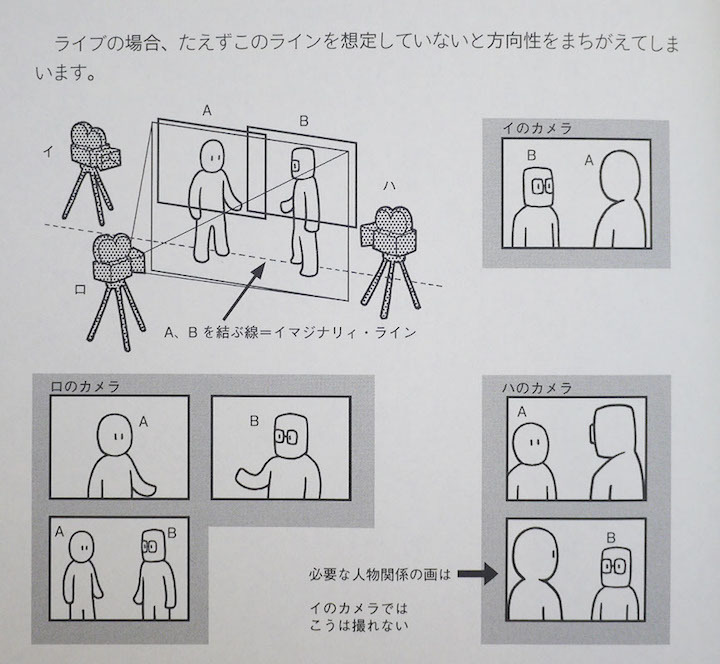 As a result, the information is not limited to anime production, but contains helpful pro-level tips for live action and CG, as well as game movies. But there also is little in the way of technical descriptions and jargon, with more of a focus on the theory of videography, and is therefore a good read for anyone with an interest in anime and film. For example, many people have had the experience of “not being sure who that was that just came on scene” or “there’s something off about this scene” while watching a picture. Reading Eizou no Gensoku will help you understand why you felt these things. As well, you will have a clearer understanding of what went into making your favorite products. What does the title refer to when it talks of “principles”? The book uses the phrase “dynamism of videography” to explain it; in other words, it talks about a certain protocol to follow with movies. Grammar and rules of writing exist for language, and so too scales and notation for music-- without them, no matter how well something may subjectively sound to one’s self, it may not convey well to others. So he explains. Let’s think about that in practical terms. For example, let’s picture two people facing each other (the one on the left is A, the left B), and a line behind both of them -- this will be the imaginary line. When shooting these two in a continuous scene (referred to as a “cut” in the film industry), you cannot shoot from the opposite side of the line, according to the rule. If you shoot from the right side of the imaginary line, then no matter what angle you point from, A and B will always be standing in the correct positions relative to each other (A will be on the left, and B will be on the right). Conversely, shooting from the wrong side will cause A and B to “flip” (A on right, B on left). Doing so causes the viewer to be confused at the characters suddenly switching places, perhaps causing one to think A somehow transformed into B. Such little confusions add up to become distractions for the viewer, and will ultimately end up taking the viewer away from the story and their interest in the work will also fade away. You might think, for production staff as well as fans, there would be no way you would confuse the unmistakable looks and personalities of A and B, but for a first-time viewer, it might be tricky to differentiate characters of which they have no prior knowledge. Especially for anime, where one would quickly stop watching after losing interest, these seemingly trifle details are important to create a beloved work. Next Page : A Certain Anime Series that understands the importance of the Imaginary Line?